MDC leader Nelson Chamisa said Tuesday that a violent crackdown on civilians by the new government was worse than anything in recent years under ousted leader Robert Mugabe, accusing President Emmerson Mnangagwa of escalating "terrorism". Chamisa said state repression had reached new levels following scenes of "terror" when security forces crushed protests over fuel price rises. "This is now 14 months after Mr. Mugabe exiting the political stage, but what we are seeing is actually an escalation, not only of the Mugabe type of terror, but we are actually seeing something that makes Mugabe look like a baby in terms of terrorism," Chamisa told a news conference. The MDC leader called for the appointment of a special UN rapporteur on Zimbabwe to conduct an impartial investigation. "It's crucially important that there be a neutral, fact-finding mechanism process which is multilateral and judicial so as to determine the full extent of the atrocities that have been committed against the people," Chamisa said. "The notion that the very authorities alleged to be responsible for the atrocities should also audit the extent of these atrocities is unacceptable. It is irrational and inhuman to expect perpetrators to audit victims. It is equally irrational to expect the perpetrators to hold themselves accountable. "The human rights situation now obtaining in Zimbabwe requires the appointment of a special UN rapporteur on Zimbabwe to ensure accountability." 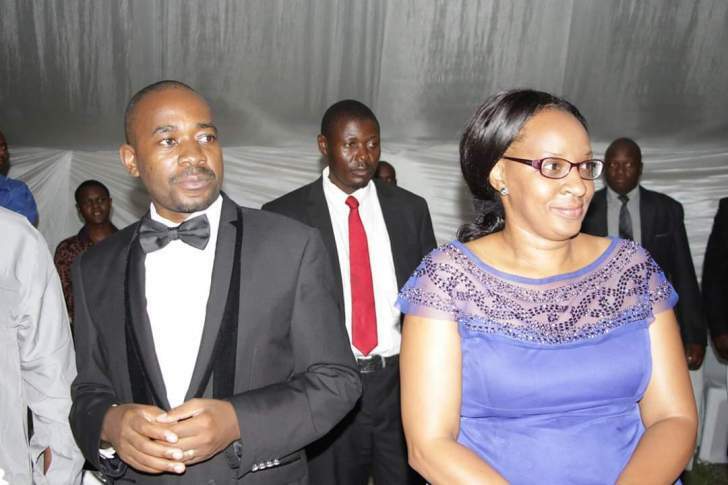 Chamisa, 40, said he had written letters to the Southern African Development Community (SADC), but he had not seen any condemnation of the excesses by the security forces. "To our brothers and sisters in the SADC region, we say this is the time to stand with the peace-loving people of Zimbabwe. This is not the time to see no evil, hear no evil and speak no evil, burying heads in the sand while a human rights crisis escalates," he said. "How many people must die or be killed before a firm and principled stance against atrocities being committed in the country is taken? How much blood must flow on the streets before the eye and hand of the region are drawn to this dire situation?" "The person we hold responsible is none other than Mr. Mnangagwa who announced a 150 percent increase in fuel prices without any due notice, without any justification. He is the one who instigated the citizens' response," he said.